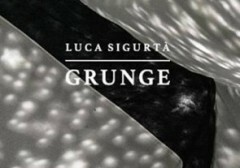 • Luca Sigurtà is an electronic composer since the early 2000s. Luca’s emotional electronic noise has become part of a mix together with slow paced rhythms and analogue synth delicate flows: a sort of very original trip-noise-hop ambient; melodies with a remarkable melancholic feel and beautiful digital/analog sounds shows all the potential of his music. On stage he uses tapes, analogical sources and electronic stuff of any sort. With TraumaSutra, Peter De Koning takes you from one atmosphere to the other; sometimes very quiet and minimal, other times noisy and and extreme. However, It’s always a reflection of this own chaotic mind In his music, he's using broken cymbals, iron plates, bricks, elements of nature, toys, plastic bags, construction site materials. The list is endless, as are the possibilities. The use of synthesizers and ‘normal’ instruments is kept to a minimum. Being a very broadminded individual, he’s also active in a number of other projects. First and foremost is his band Hedera helix, with which he has played on all kinds of stages in Belgium, going from underground rock clubs to open door youth events. Since 2008, he is also an active member of Belgian cult act Hybryds, working in the ritual/mythical/industrial and magical music scene. This band is known for its mind expanding sound and have been one on the forefront of the Belgian industriai/experimental scene since the 1980s.